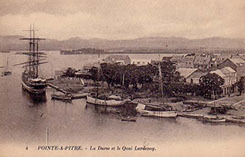 Based in Pointe a Pitre, Agence Petrelluzzi has been serving the commercial shipping / cruise ships market on Guadeloupe for over 100 years. Over the past few years they have recognized the requirements of the ever growing Superyacht market, and have a dedicated professional yacht services agent - Gerard Petrelluzzi - to look after literally anything one might need whilst visiting Guadeloupe and is Islands. Working with his new company, Gerard now uses his many years of experience in the Shipping industry to provide a wide range of support services to visiting yachts. 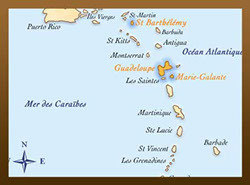 From customs & immigration clearance (even out of hours and during official holidays) in all ports of entry in Guadeloupe and the islands, Gerard can then provide a host of further yacht services to assist the Captain in every way. In fact Gerard offers full logisitical and shoreside support in Guadeloupe for both owner's and guests as well as for Captains and crew.